If makeup is your passion, you are highly skilled in makeup artistry and also have an outgoing and bubbly personality then we want to hear from you. 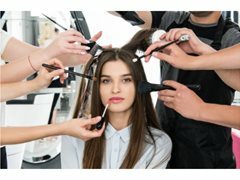 "The Makeup Guru" is a 26 minute long studio show which takes MUA novices, and through the use of masterclasses and challenges turns them into skilled makeup artists. The programme aims to entertain while also educating audiences on tips and hacks for makeup application. For this particular show, the "makeup guru" (presenter) will lead a masterclass, teaching the contestants how to do "instagram style" makeup. They will then judge the challenge, picking a winner and loser based on the results.